Favours For Sailors son un cuarteto Londinense con la mirada puesta al otro lado del charco, de donde beben de las influencias de bandas como Pavement, Weezer, Modest Mouse o Islands. Melodías altamente adictivas que adquieren forma en las seis canciones incluidad en su Ep de debut "Furious Sons", el cual se edita esta semana. 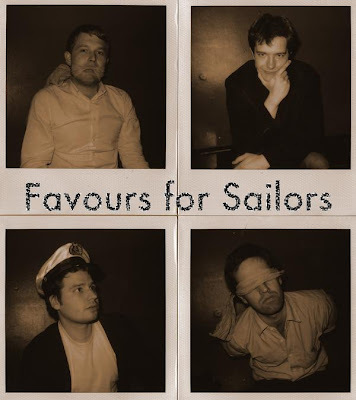 Favours for Sailors are a London quartet with their eyes and ears placed on the other side of the Ocean, from where they get influences of bans like Pavement, Weezer, Modest Mouse and Islands, among many others. Highly addictive melodies is what you find on the six songs included in their debut EP, "Furious Sons", out this week.